28 May, 2015 Rakesh Sharma Reviews . 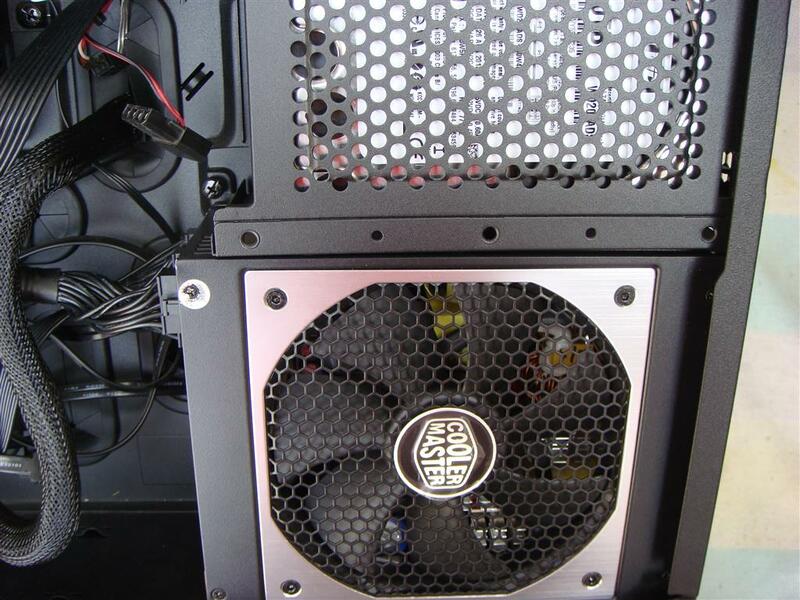 Cooler Master is one of my the favorite brands when it comes to enthusiast computer cabinets, power supplies and cooling solutions. 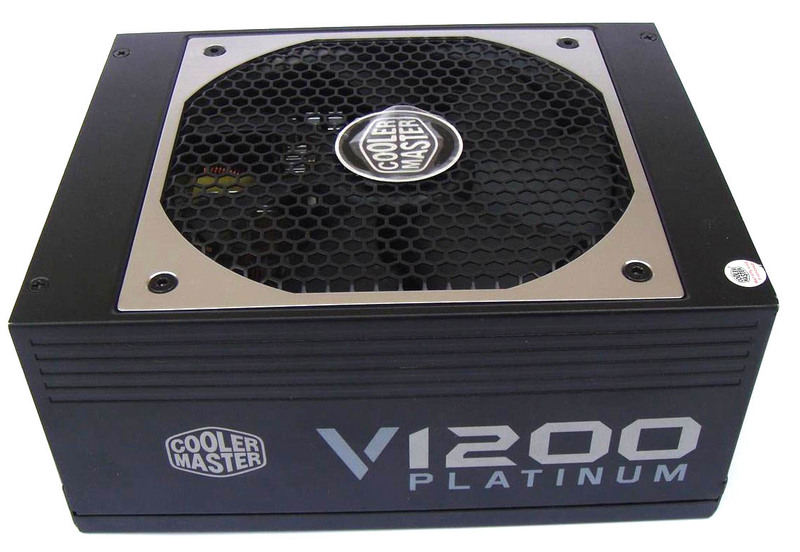 And today we have the honor to review one of the best looking, best performing and lot of features packed PSU, the Cooler Master V1200 Platinum Power Supply unit. 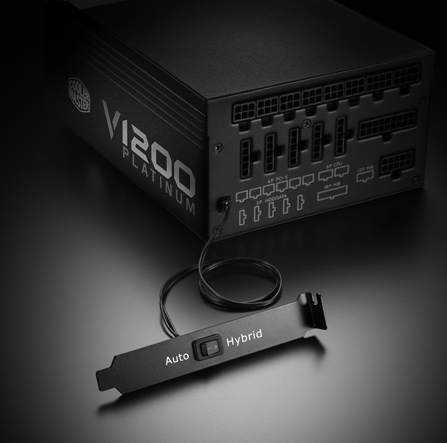 With a mind blowing 1200 watts of power handling capability, means more than enough power to handle your ultra high end gaming rigs with ease. 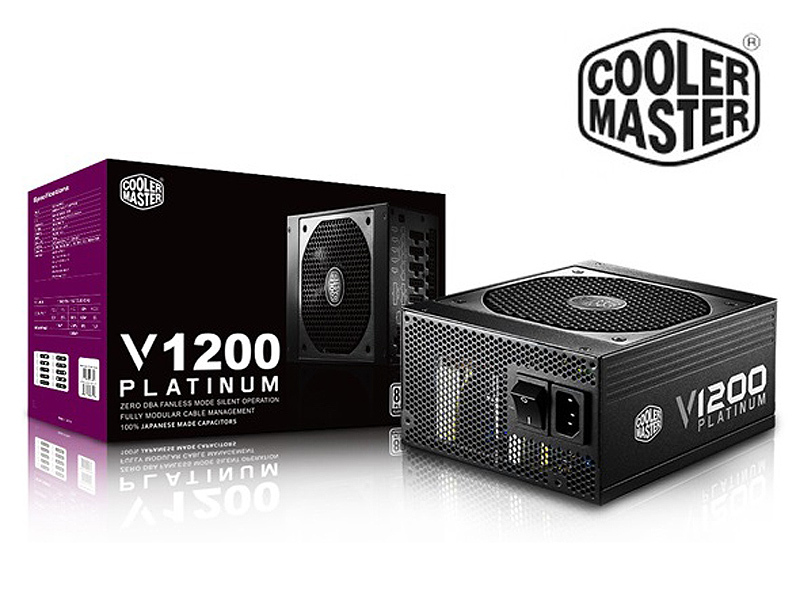 The monstrous Cooler Master V1200 Platinum Power Supply, a fully modular power supply with a hybrid fan controller and 80+ Platinum certification. All that too for Rs.22K, nice price for a great product. 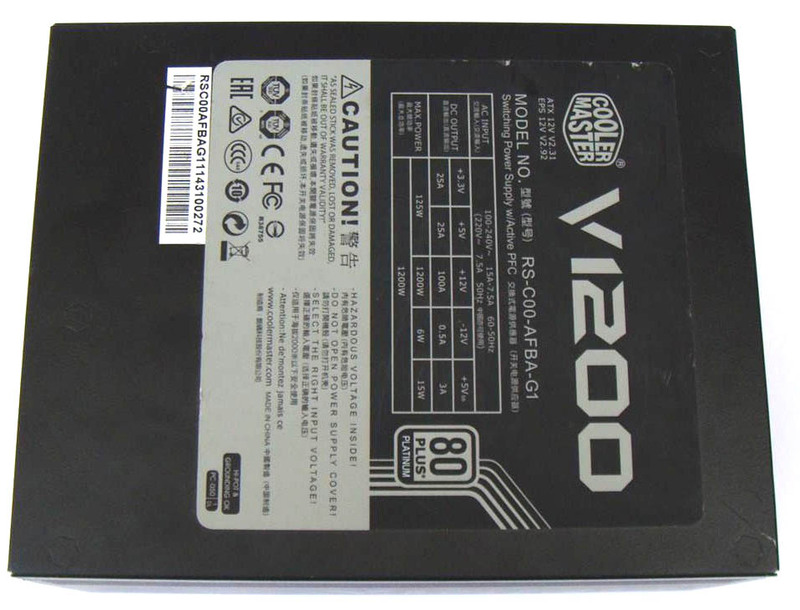 Now let’s see what this Cooler Master V1200 PSU has for us. 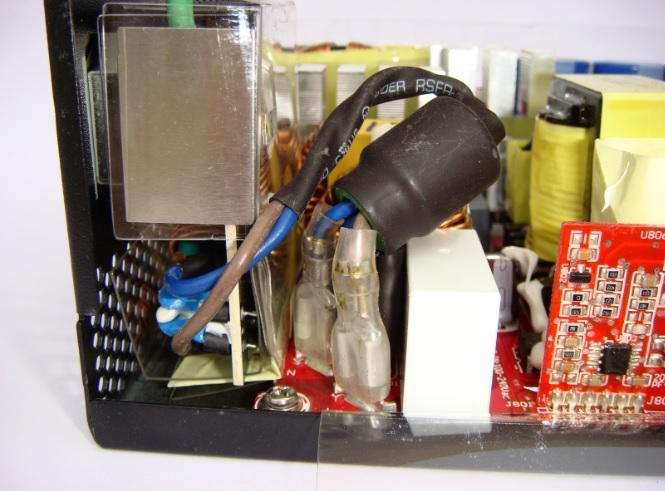 ON / OFF hybrid fan controller - Zero dBA fanless mode silent operation. 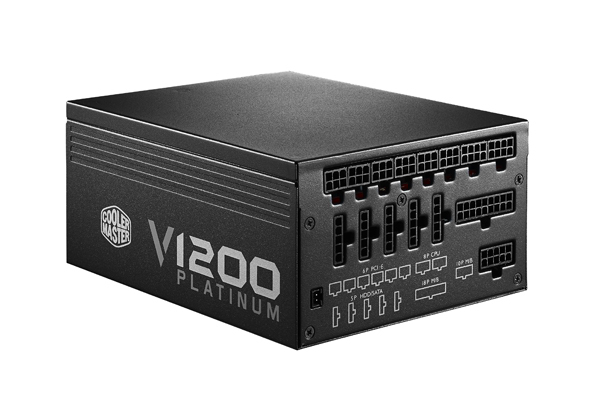 V1200 manages to keep the +12V rail within ±1% at all times, even better than Digital PSU.The 12V rail is the most important part of a modern power supply. 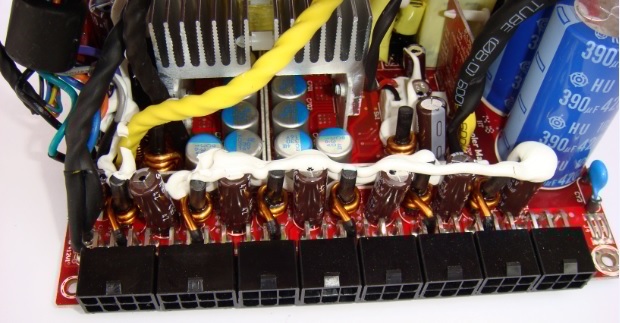 Both the CPU and graphics cards, the two most important and power hungry components in any computer, are powered by the 12V line. 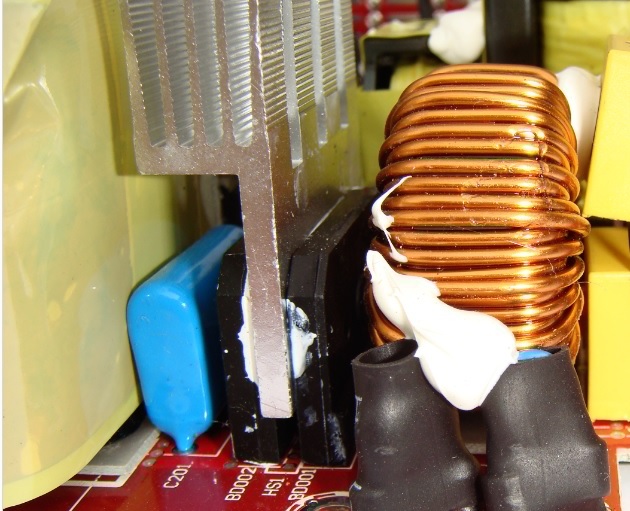 Voltage fluctuations can cause anything from high pitch noises, lowered CPU and VGA overclock capabilities, system instability or even damage components. 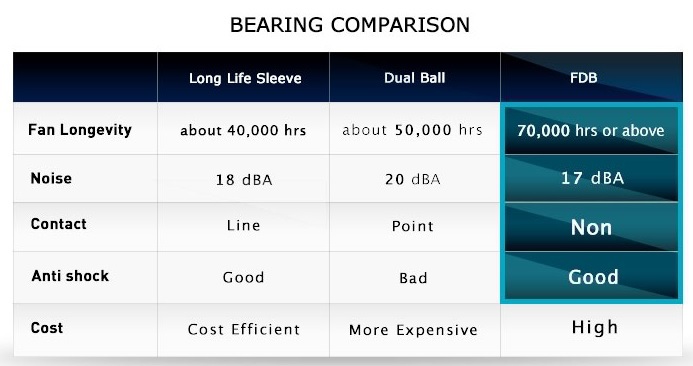 Thanks to an elaborate design with microscopic tolerances and a detailed channel design, the bearing core and inner case are constantly separated by a thin film of oil - meaning the two metal parts never actually touch. 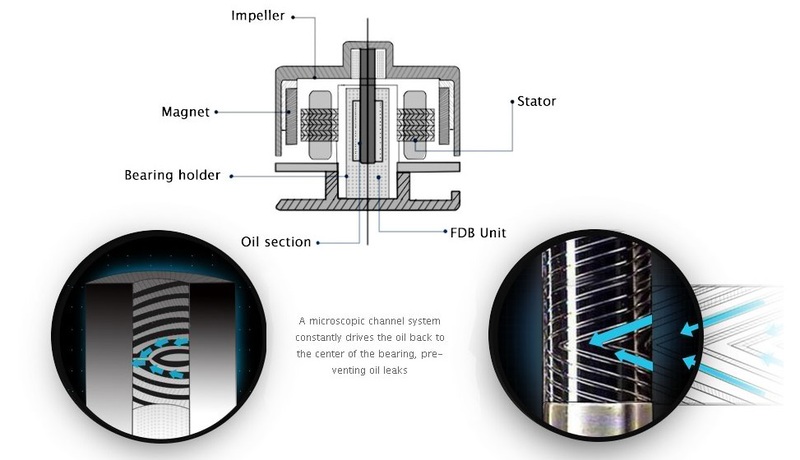 The channels on the bearing core act as a pump, constantly looping it back to the center, giving it no chance to leak. 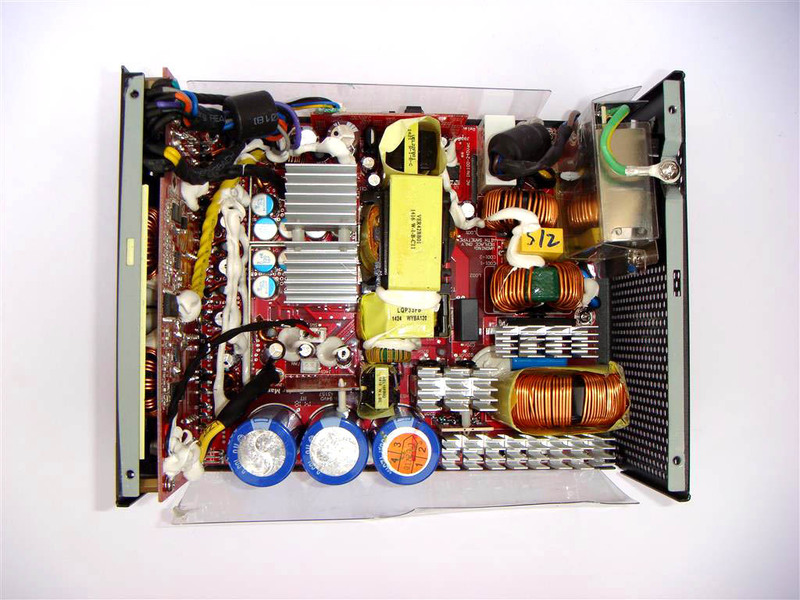 This results in extremely quiet operation and an extremely long life. 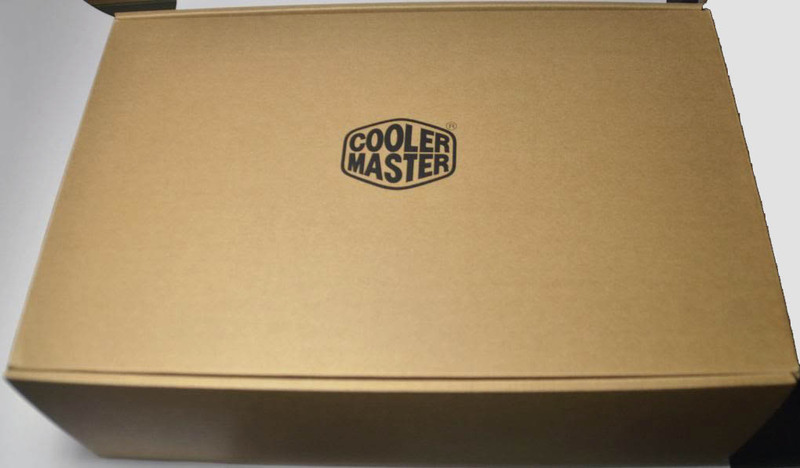 Cooler Master V1200 comes in a box securely packaged with PSU graphics, Model name and features highlights on front and the back of the box. 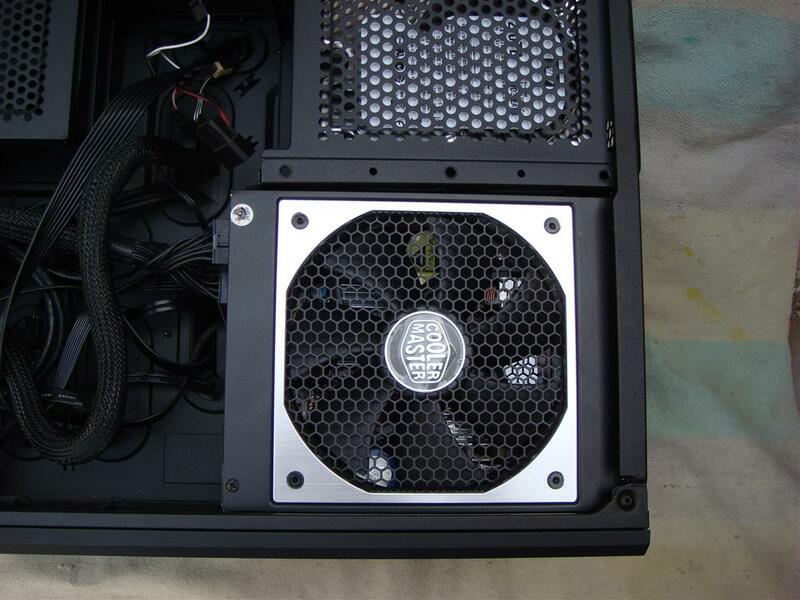 I really loved the overall looks and design of Cooler Master V1200 PSU. 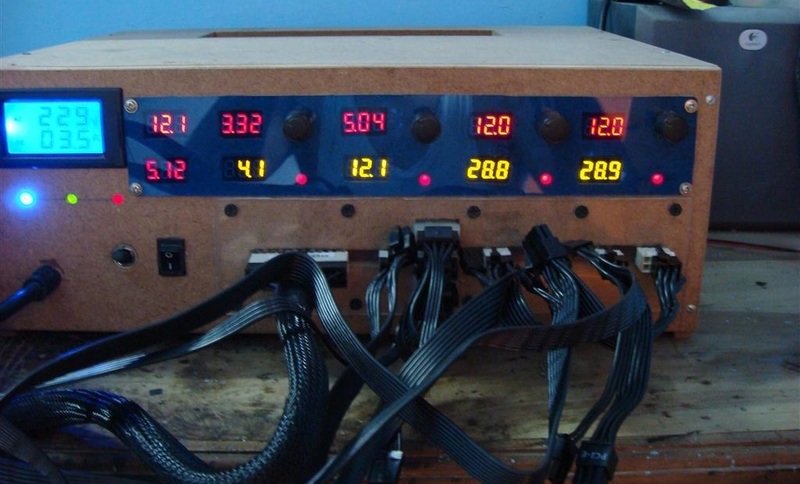 One of the best looking PSU I have came across. 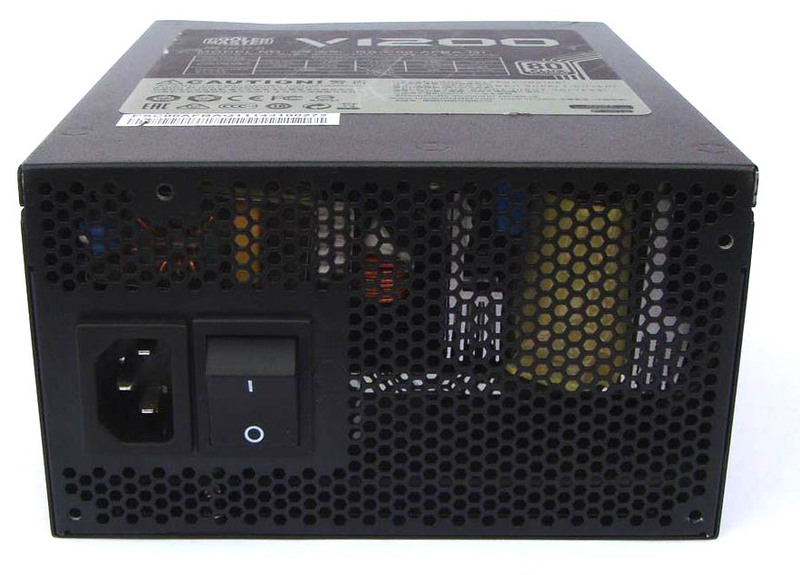 Cooler Master’s V1200 power supply is build using Seasonic’s flagship platform for power supply design, the XP3. 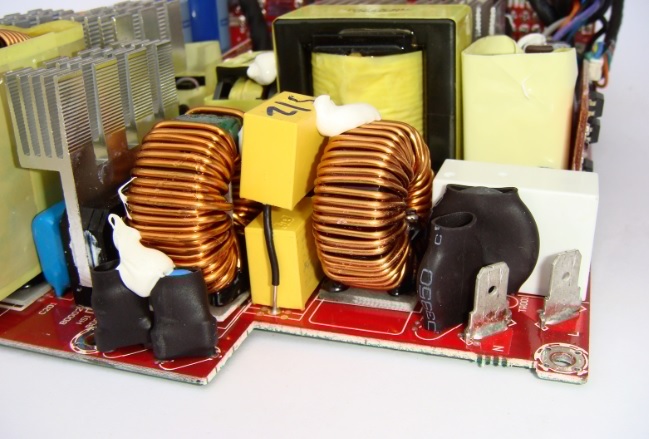 Cooler Master further tuned the platform by using high quality Japanese electrolytic bulk capacitors and a Dynamic Fluid Bearing fan for longer fan life and low noise. 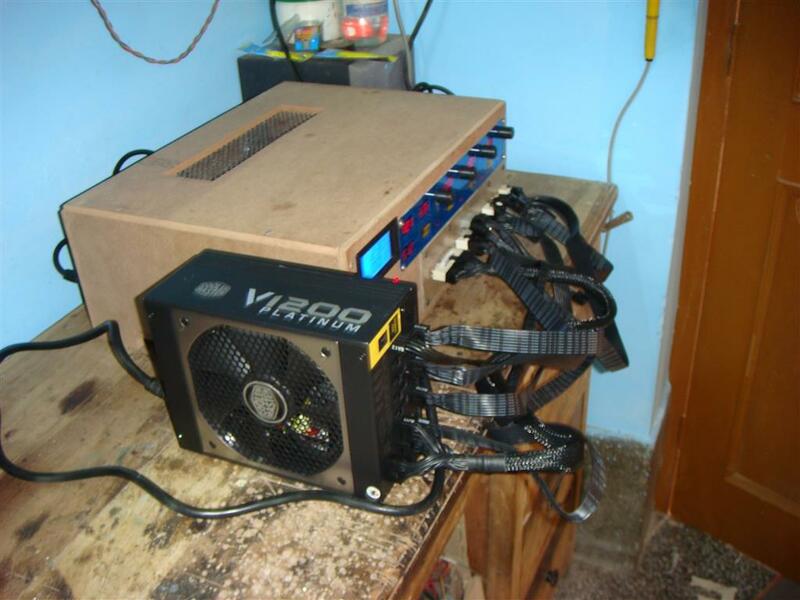 Cooling of this PSU is handled by a Protechnic Electric 135mm Dynamic Fluid Bearing fan model no. 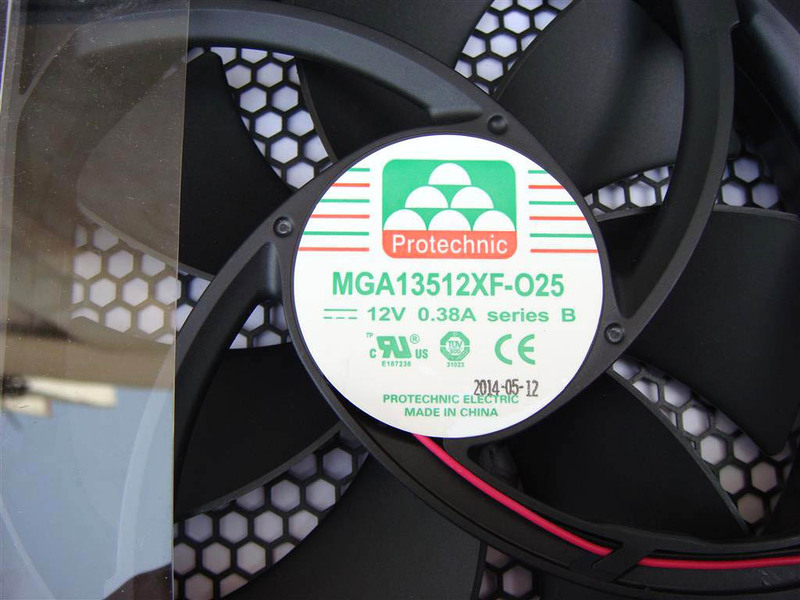 MGA13512XF-025 (135 mm, 12 V, 0.38 A). 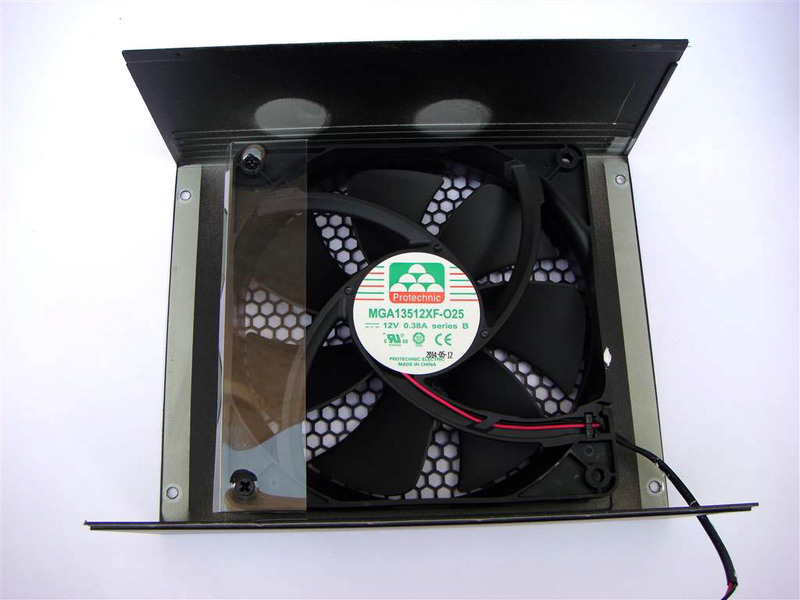 FDB fans are best known for their long life and low noise. 1. 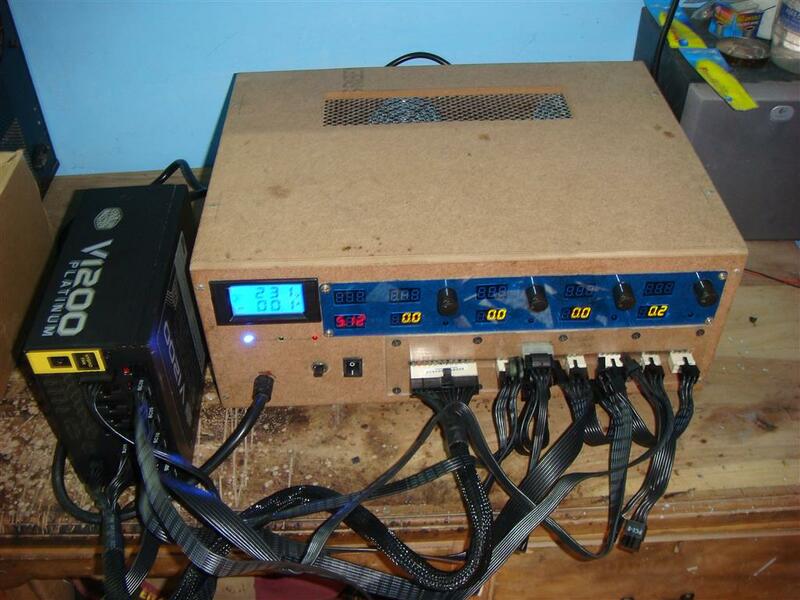 Power Socket, Power Switch and first stage EMC /EMI transient filtering with one coils, one MOV, four Y caps and one X caps. 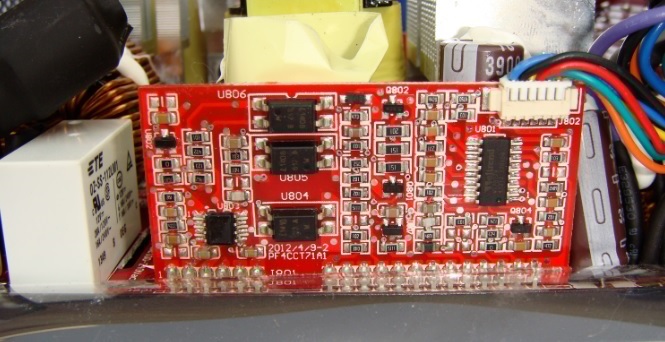 All installed on a small PCB and ground shielded. 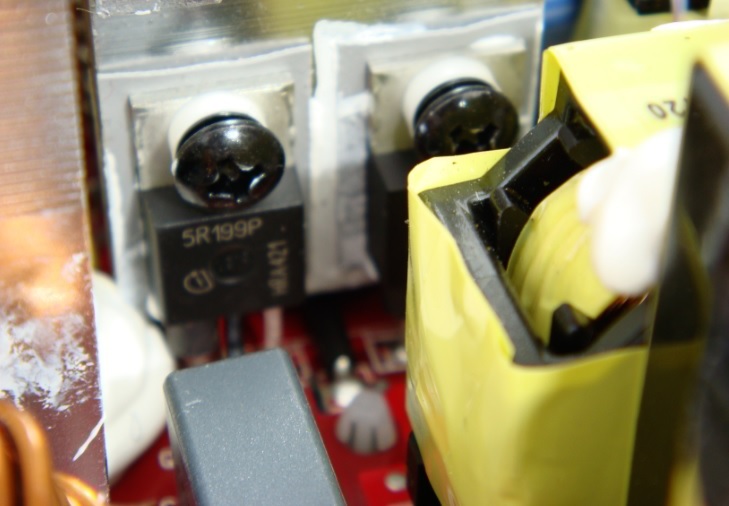 Thick power cables is then connected with main board using high current handling connectors. 2. 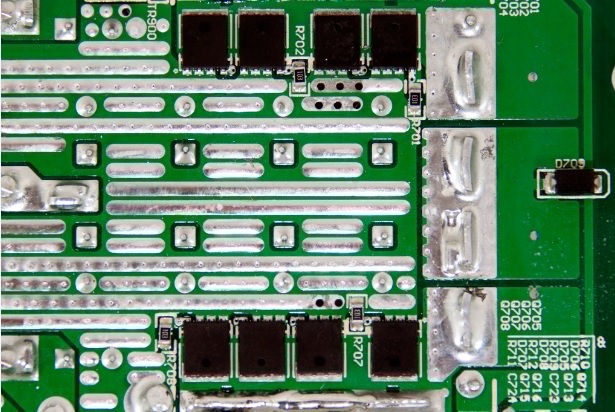 Second EMC /EMI transient filtering stage is on the main PCB and include two pairs of X and Y caps, two CM chokes, and an MOV. 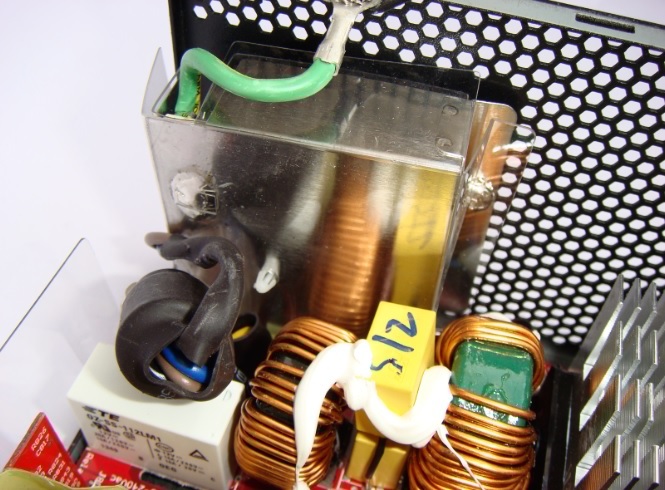 Beside it you see a thermistor and isolation relay to protect against large inrush current when mains AS is plugged into the PSU. This process is known as soft start. 3. 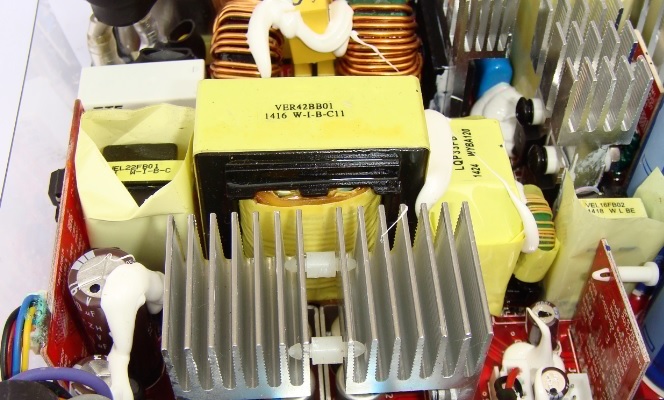 Two bridge rectifiers B2560 in parallel on a heatsink. 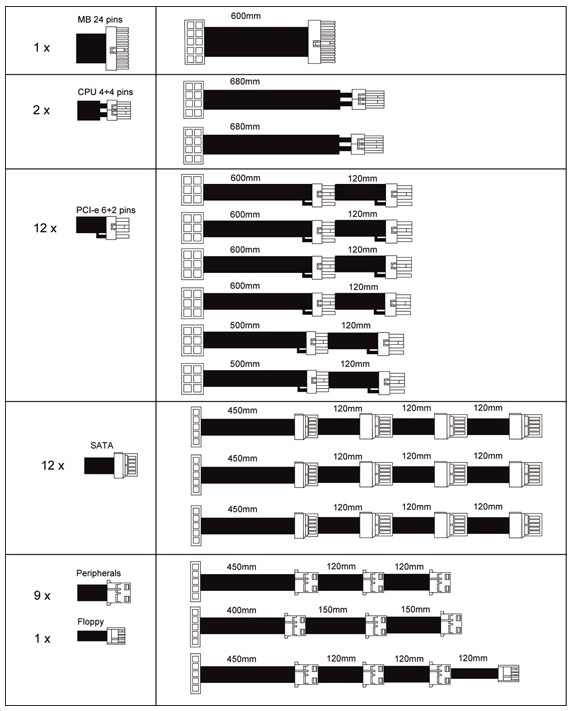 Each bridge is capable of handling 25A. 4. 6. 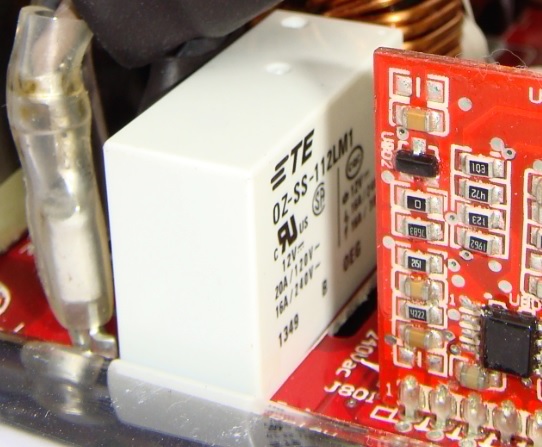 The Main PFC converter uses three Infineon IPP60R125CP MOSFETS and a single SCS110AG boost PFC diode. 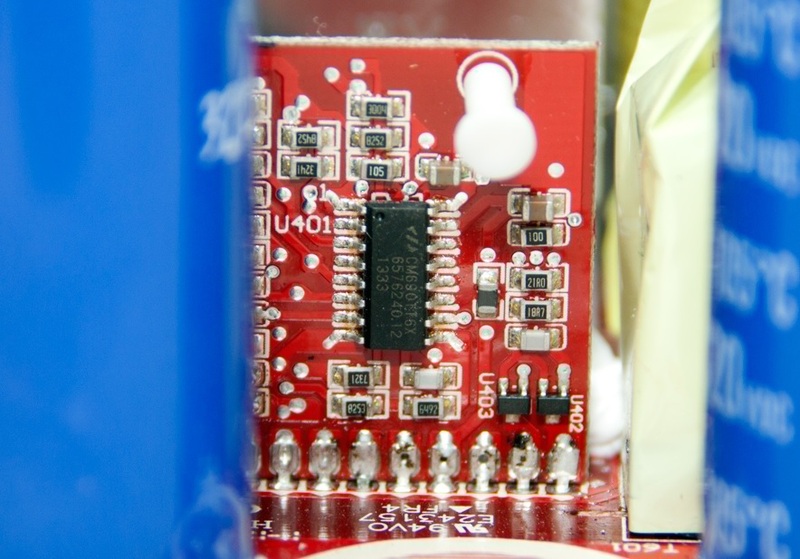 Alongside there are three electrolytic bulk capacitors by Hitachi. 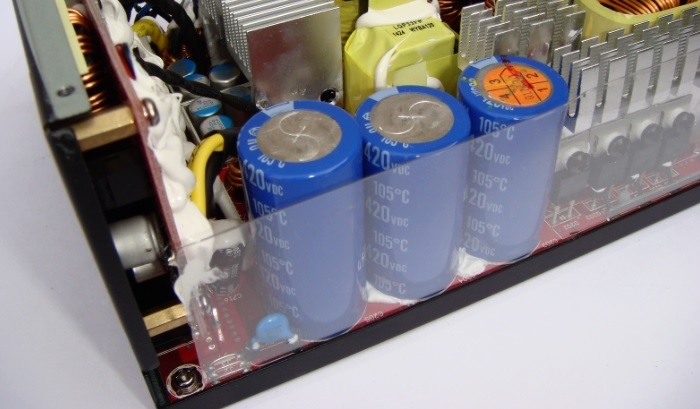 The original Seasonic’s XP3 power supply platform used three identical Nippon Chemi-Con 390 µF/ 420v caps, whereas Cooler Master has used two Hitachi HU series 330 µF/ 420v and one 390 µF/ 420v caps in parallel giving total of 1050 µF of capacitance. 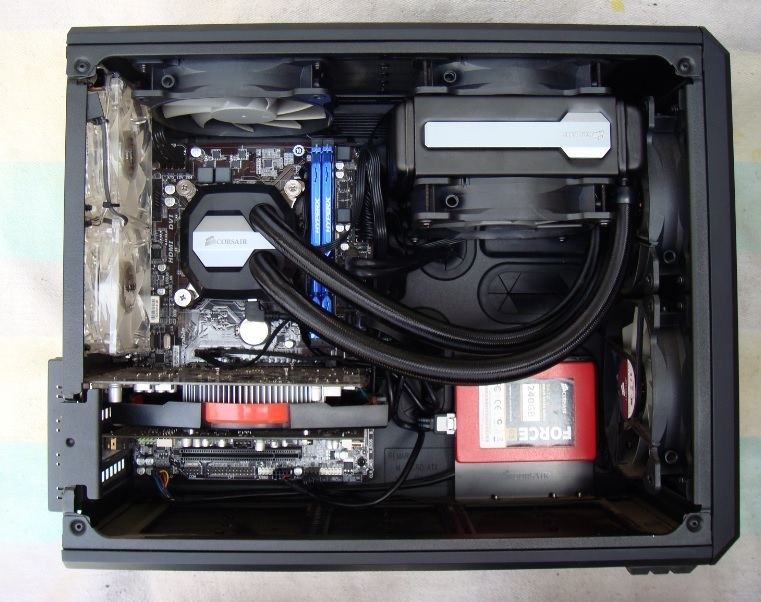 Anyone with electronics background will straight know that here Cooler Master has done some serious work. 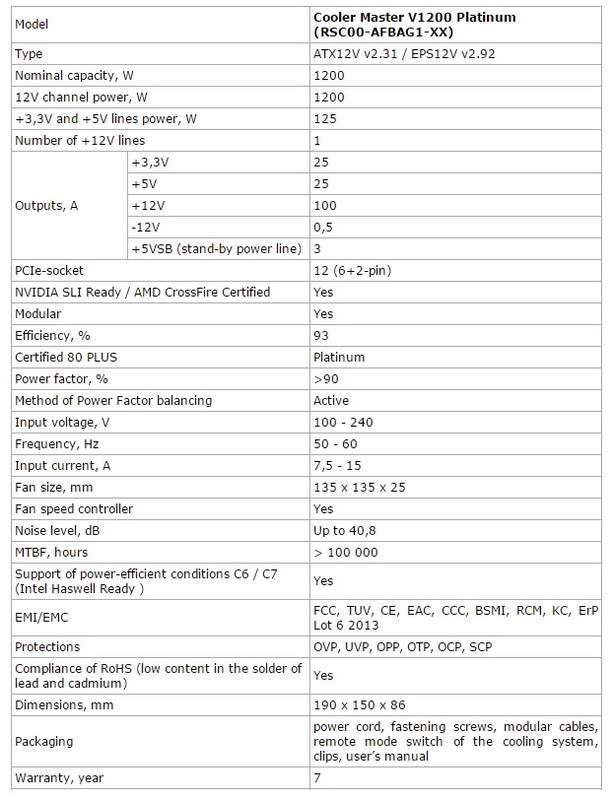 So changing the original specs and using two smaller value caps is cost cutting? 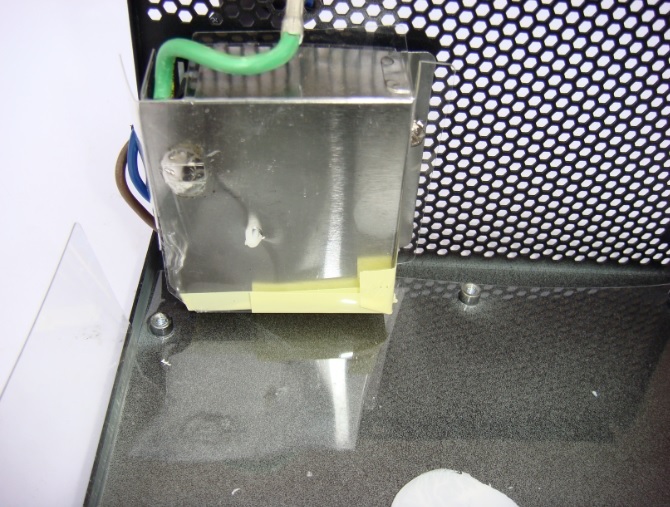 NO WAY.. . this is the Cooler Masters flagship product no chance of quality compromise. Let me explain a little. 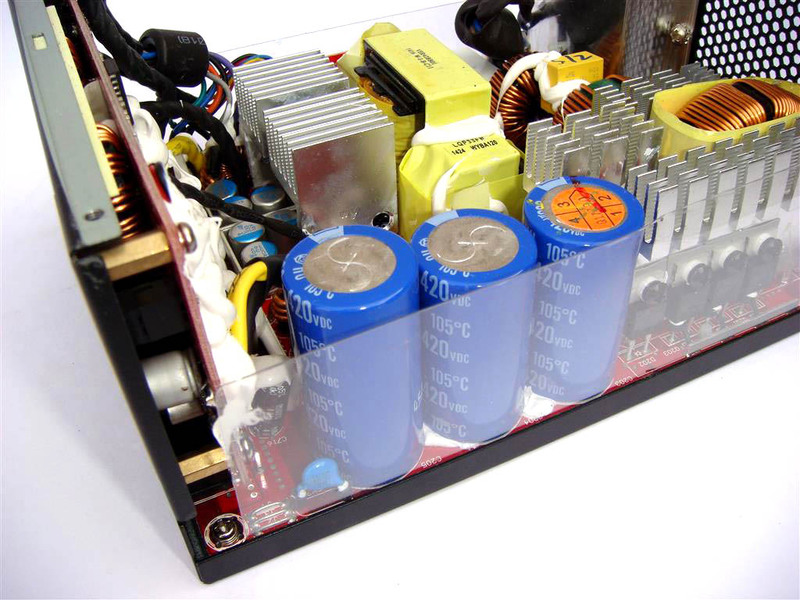 Every DC to DC converter needs certain amount of capacitance and equivalent series resistance (ESR) requirement to run on a particular load with specified efficiency. 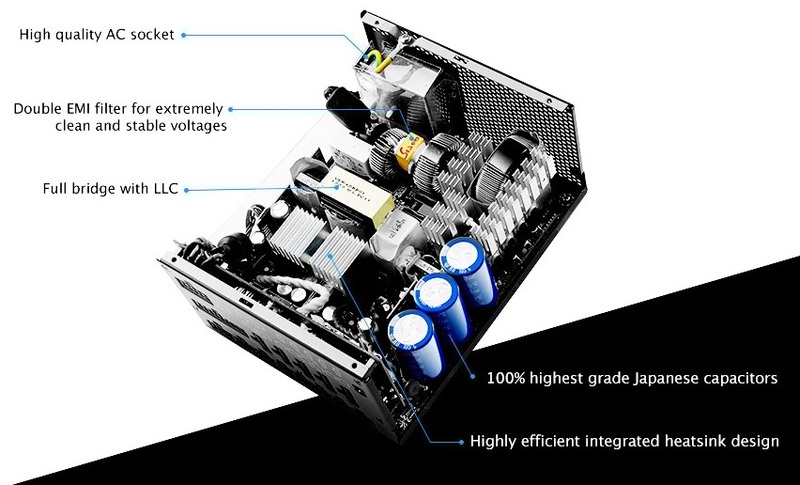 So same Seasonic’s XP3 power supply platform also have some minimum/ maximum range of ESR value to meet in order to provide such a high load and efficiency. 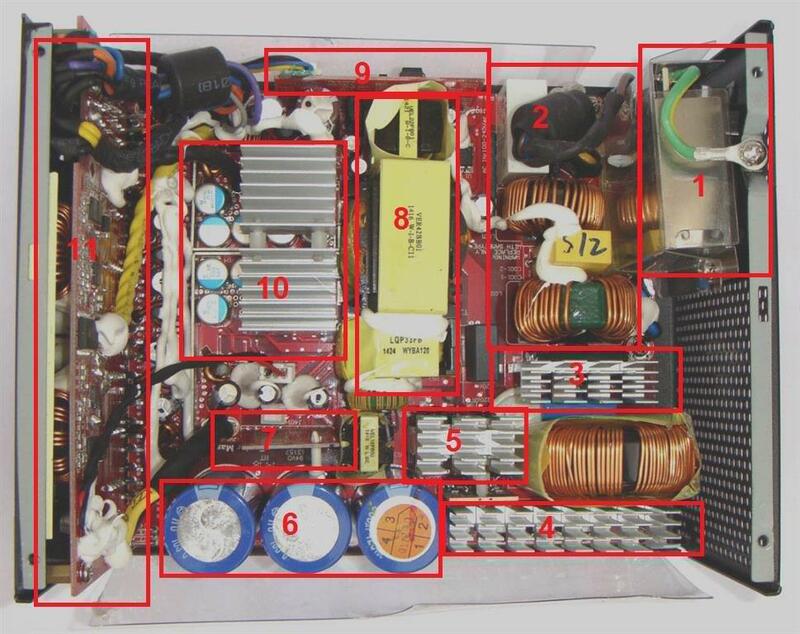 So by paralleling different valued capacitors Cooler Master has tried to reach closest of the ESR range, so that their users get the best performance from the product. 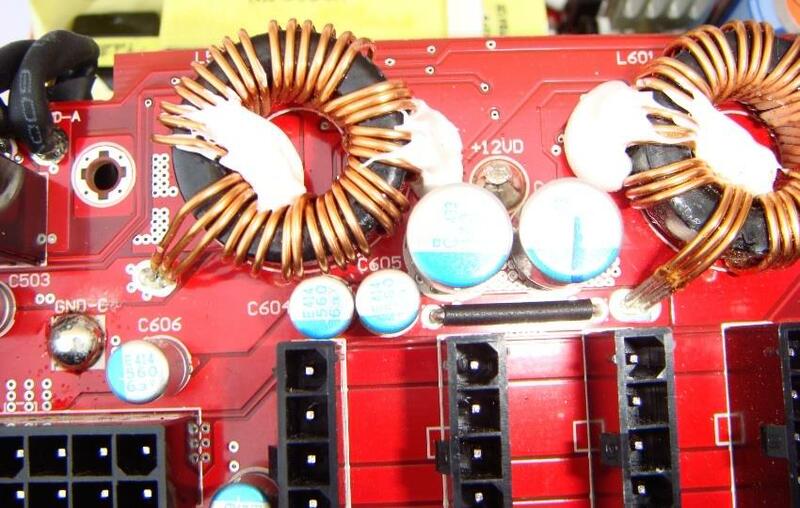 Great job Cooler Master. 5. 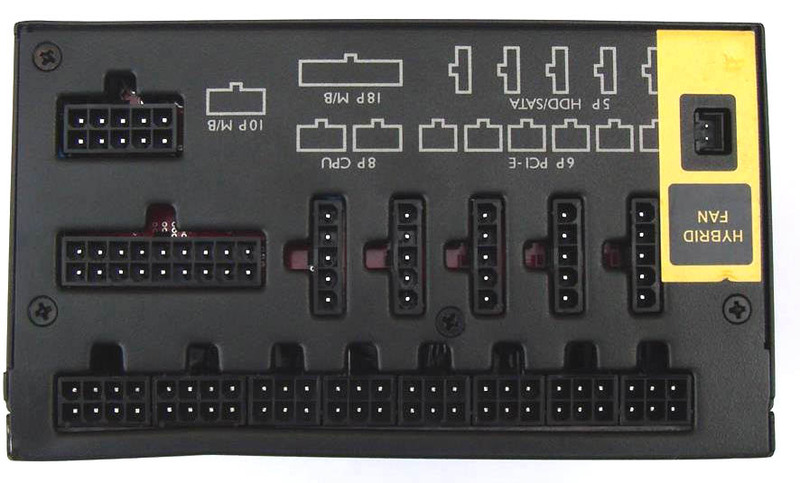 7.Main switching is handled by four Infineon IPP50R199CP MOSFETs and a Champion CM6901 controller IC. 8. 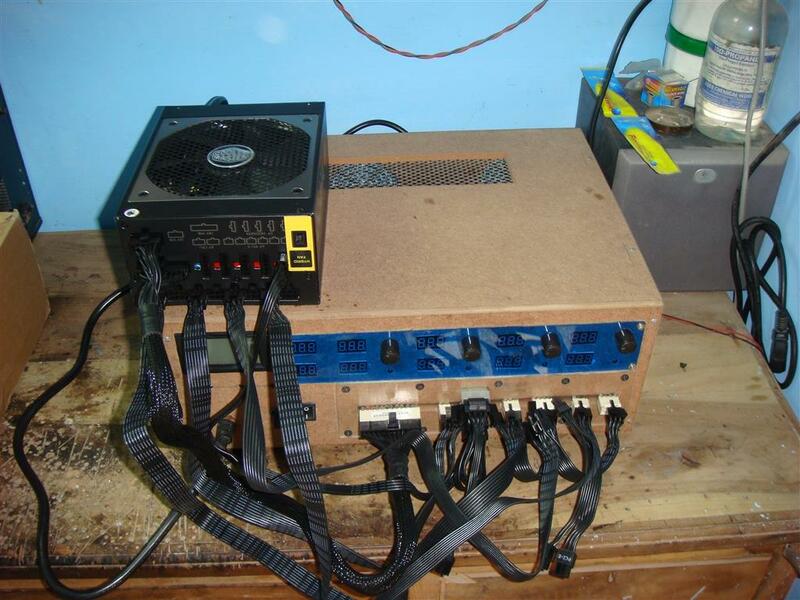 Main power transformer for 12 v and feedback and 5v stand-by transformer . 9. 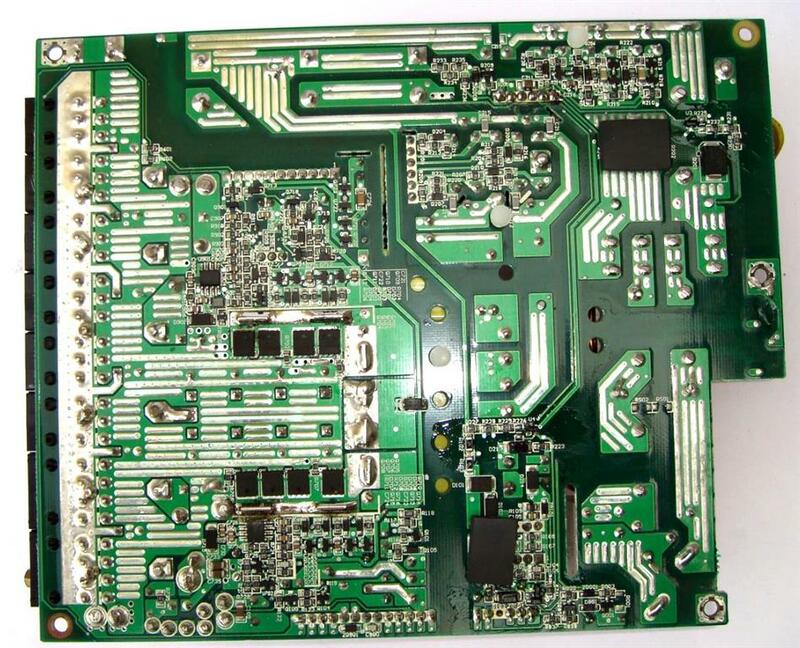 Second daughter board on right holds holds a Weltrend WT7257V supervisor IC and an AS393 dual-voltage comparator chip. 10. 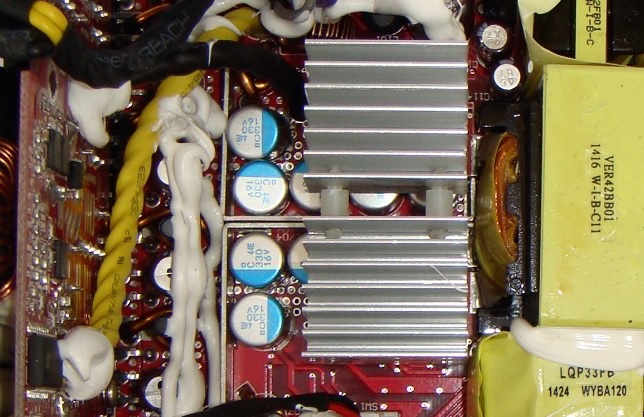 Two large heatsinks provide cooling for eight Fairchild FDMS015N04B MOSFET for 12v rails, surface mounted on the other side of the PCB. 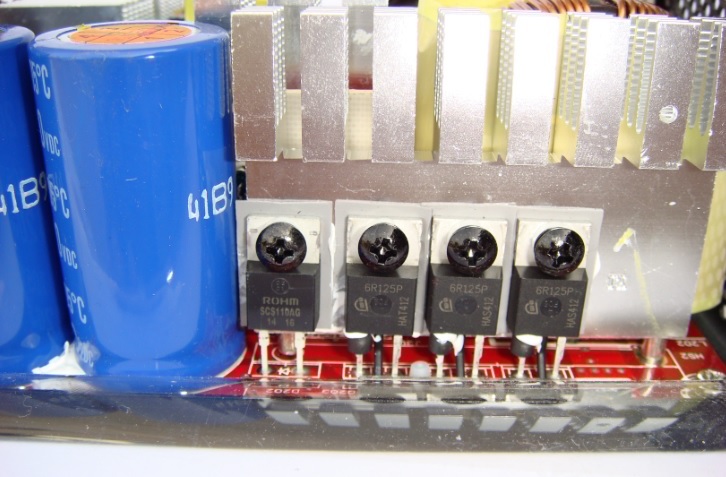 This 12v rail is further divided and filtered with array of coils and Nippon Chemi-Con capacitors. 11. 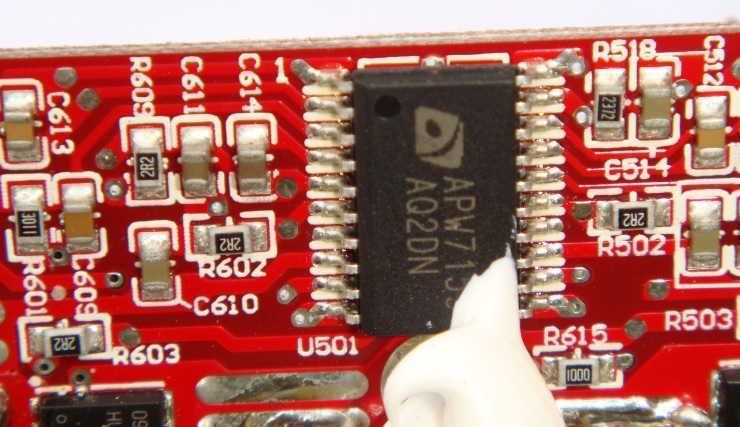 Modular cable connector board hols +5v and +3.3 V DC to DC Convertor, each having three Infineon BSC0906NS MOSFETs and a common APW7159 PWM controller. 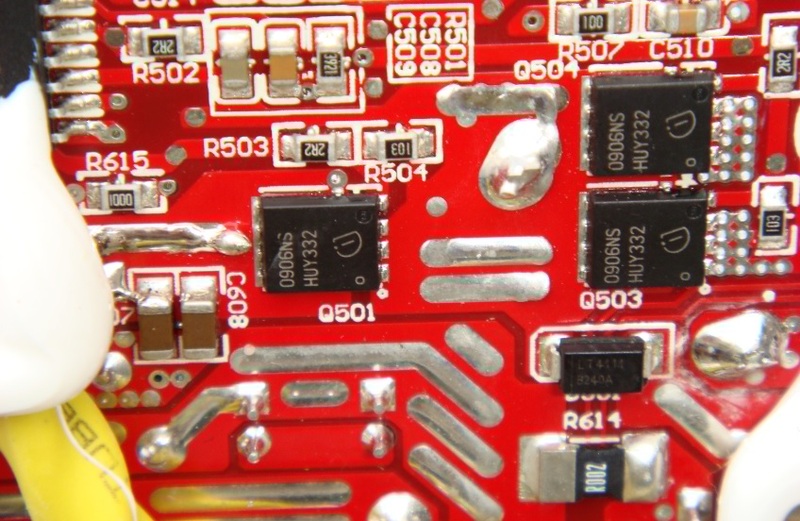 PCB also have two coils and several polymer caps to improve ripple suppression. 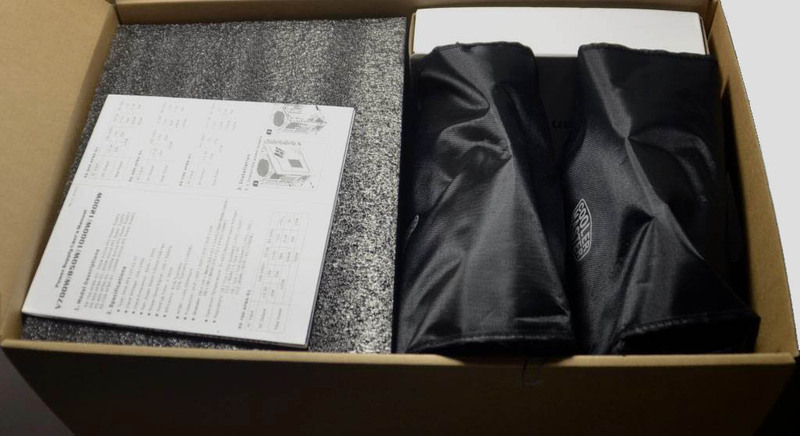 Little expensive than the same Seasonic’s XP3 variant, but don’t forget Cooler Master had incorporated some great research along with higher quality caps and fan. 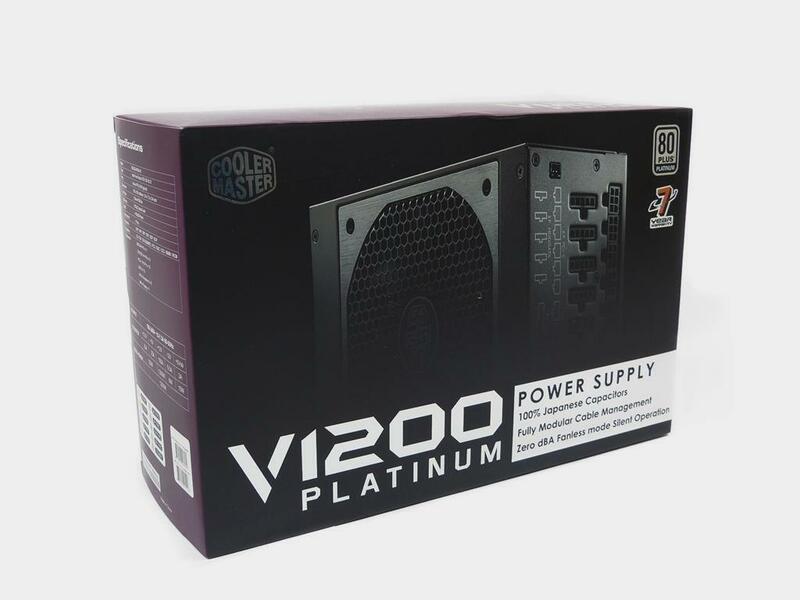 Cooler Master V1200 PSU proven itself to be the flagship power supply from Cooler Master, satisfying enthusiasts and gamers with their SLI or Crossfire needs and full fills 1200W and 80PLUS Platinum specifications very well. 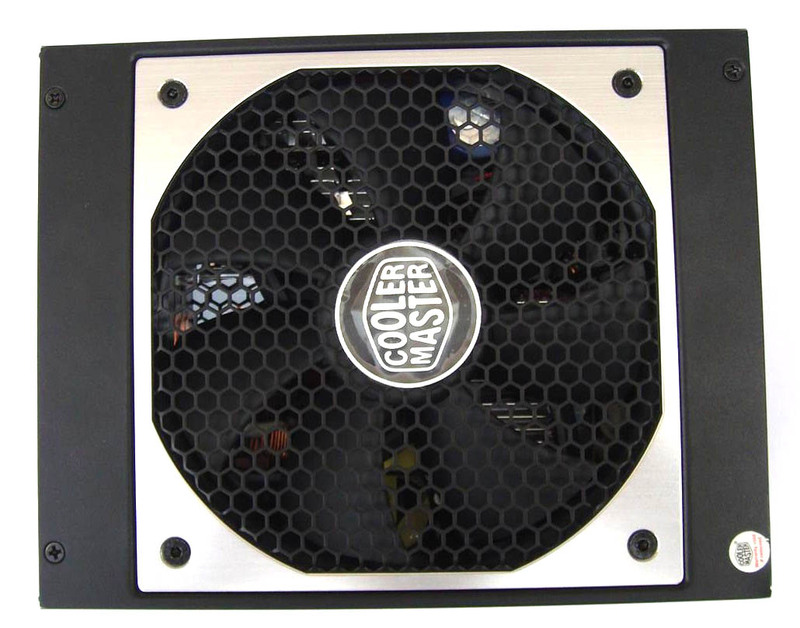 Cooler Master has invested great deal of time and research in customizing and fine tune the product, so that their users get the best performance from the Cooler Master V1200 PSU. 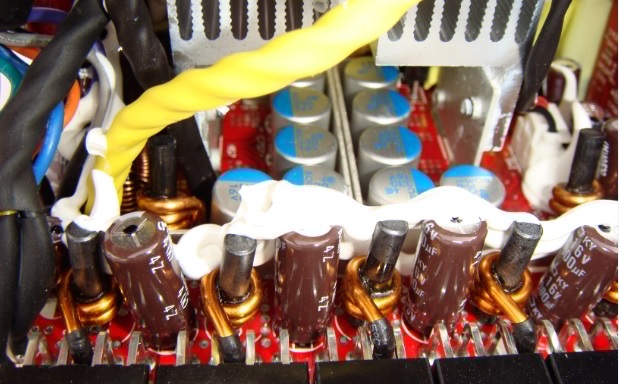 Great job Cooler Master. 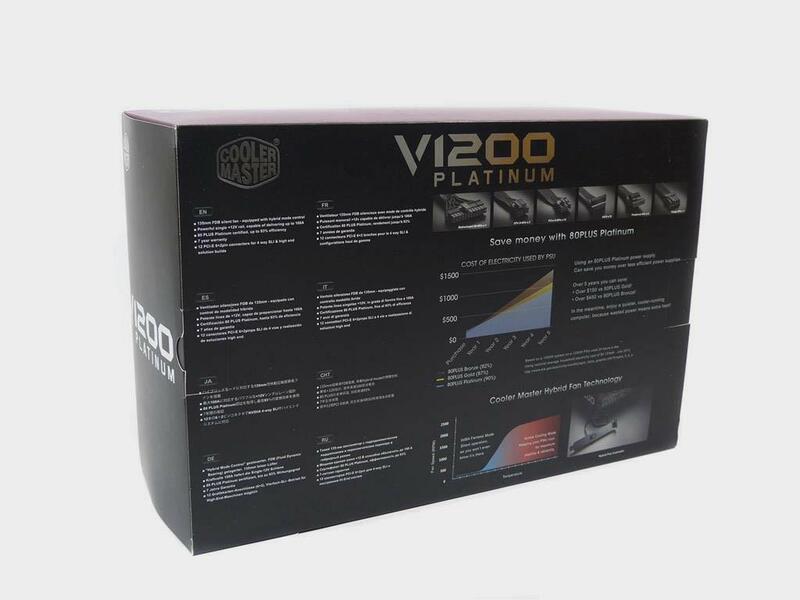 Finally Cooler Master V1200 PSU is one of the best and great priced 1200W 80PLUS Platinum PSU in the market and has all the credentials to be the first chose if you are going for a high end / gaming rig build.